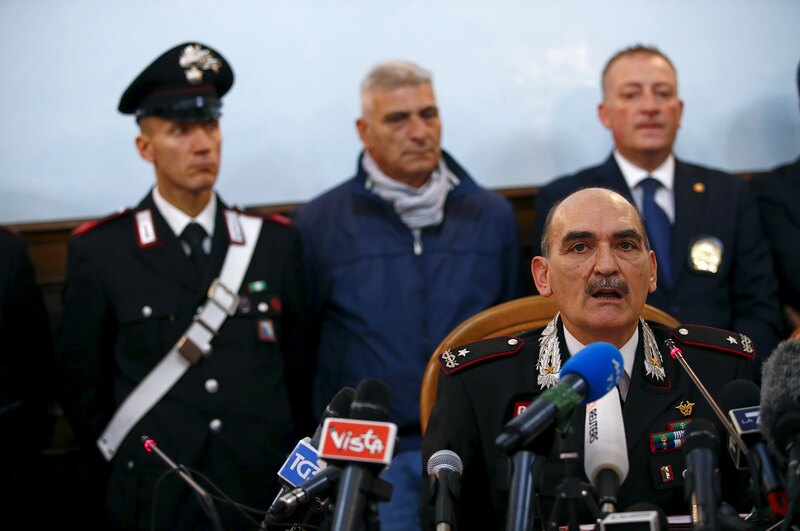 ROME -- European law enforcement authorities announced Thursday they had broken up a Norway-based Iraqi Kurdish recruitment ring that radicalized prospects via the Internet and sent them to fight in Iraq and Syria alongside with the Islamic State of Iraq and Syria (ISIS). Thirteen people were arrested in Italy, Britain and Norway. Italian authorities said the ideological leader of the ring was Najmuddin Faraj Ahmad, known as Mullah Krekar, who was already in prison in Norway. He had been a founder of the now-defunct Ansar al-Islam insurgent group of Sunni Kurds, which aimed to install an Islamic caliphate in Iraqi Kurdistan and merged with the ISIS last year. Once living in exile in Norway, Krekar formed another group, Rawti Shax, to educate a new generation of Iraqi Kurds in Europe to eventually return to violently overthrow the government in the Iraqi Kurdish region and replace it with a radical caliphate, Italian police said in a statement. He developed a network of followers across Europe who communicated by Internet chats, which Italian police monitored, leading to Thursday's arrests. Eurojust, the European Union judicial cooperation agency, said 13 people were arrested in Italy, Britain and Norway. The emergence of ISIS provided Rawti Shax with a training ground, and at least six people were recruited to fight in Iraq and Syria, Italian officials told a press conference. At least two died in the region. Police said Rawti Shax created a virtual university online to radicalize potential recruits, and a secret committee discussed attacks against Norwegian diplomats and lawmakers to negotiate Krekar's freedom. Governale, however, said the group's primary activity was recruitment. Krekar was sentenced last month to 18 months in jail in Norway for praising the slaying of cartoonists at the French satirical newspaper Charlie Hebdo, which had lampooned Islam and other religions. He was also found guilty of urging others to kill a Kurdish immigrant in Norway. The Norwegian suspects face a court hearing Friday in Oslo, Norway, pending a possible deportation to Italy, said a spokeswoman for Norway's security service PST, Siv Alsen. "If this means that Krekar leaves Norway, that's fine," said Norwegian Prime Minister Erna Solberg, speaking from Valettta, Malta, where she was taking part in an European Union summit on the migrant crisis.